Dieter Rams designed the 621 Table for Vitsœ in 1962, not only as the partner to the 620 Chair Programme, but as a series of large and small surfaces that can be used almost universally. 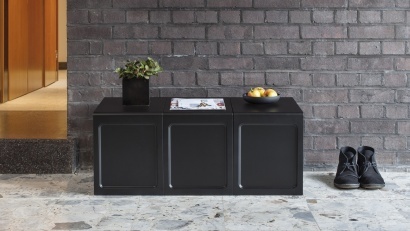 The table was re-engineered with Rams in 2014 for modern manufacturing. Tellingly, Rams does not like it called a table; he prefers, “an arrangement of surfaces.” Typically, he is correct. Rams always intended the table to have adjustable feet, so great care was taken over this addition. 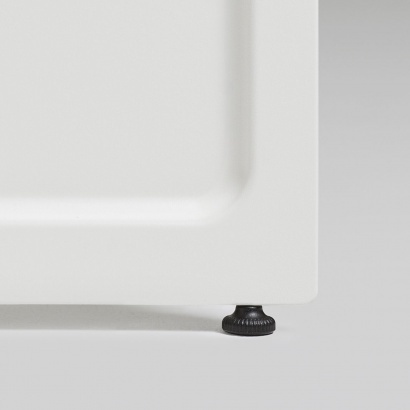 The resulting feet can be adjusted to 4mm in height. Even the apparently flat surface of the underside of the foot is, in fact, slightly convex to compensate for a floor’s imperfections. 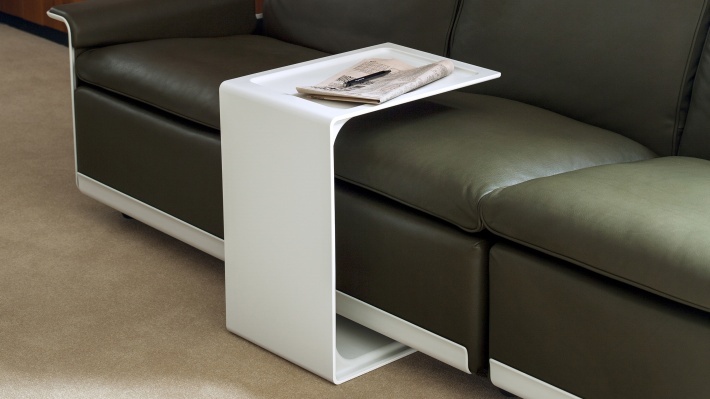 The feet can also be removed easily if you habitually use the table turned on its side – or your floor is level. 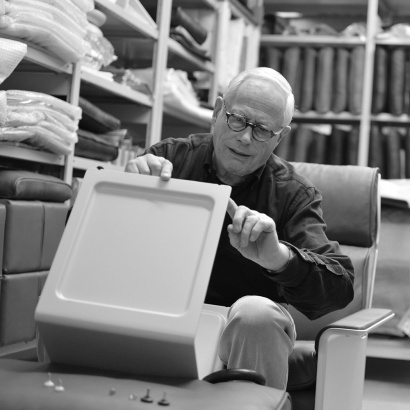 Dieter Rams has spent his career striving to make plastic “a noble and long-living material”. Often he talks about the care and attention taken to achieve a superior surface quality. 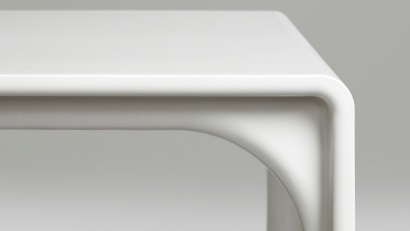 The precise injection-molding of the 621 Table is meticulously hand-finished in two coats of finely textured paint that ensure the table has the tactile quality for which Rams is revered with his hand-held devices. The re-engineering started with Rams’s original hand-drawn blueprints. 3D-modeling was used to translate them for modern injection-molding techniques. Once modeled, the table’s details were 3D-printed to ensure their faithfulness to the original blueprints. 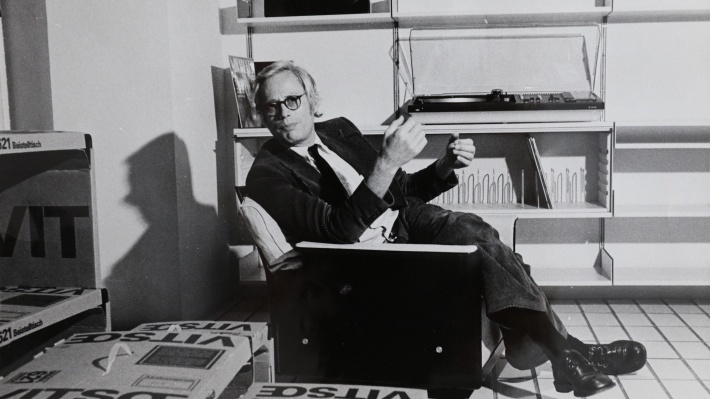 Throughout the design process, the hands of Dieter Rams were the ultimate test: within seconds he could relay if any further changes were needed. Ultimately he declared himself “overwhelmed” by the finished result.